OmniFocus 3 Tags can help you quickly and conveniently home in on the projects and actions that are most relevant. The following directory showcases some of the many ways in which tags can be employed. Use these as a starting point and adapt them to accommodate your life and work. Create as many tags as you need, but not so many that you’re adding unnecessary complexity to your system. If you want to add some visual flair, consider including an emoji character in the name of the tag. And you’ll probably want to group at least some of your tags together (e.g. all of the ones related to people) to help keep things organized. Check back soon for more examples. And let us know if you’ve come up with some innovative ways to use tags to enhance your productivity. Are you a Learn OmniFocus Member? Check out this detailed guide for making effective use of Tags, in combination with Projects, Single Action Lists, and Folders, on both Mac and iOS. Not a member yet? Join here. All memberships include a 30-day money back guarantee. 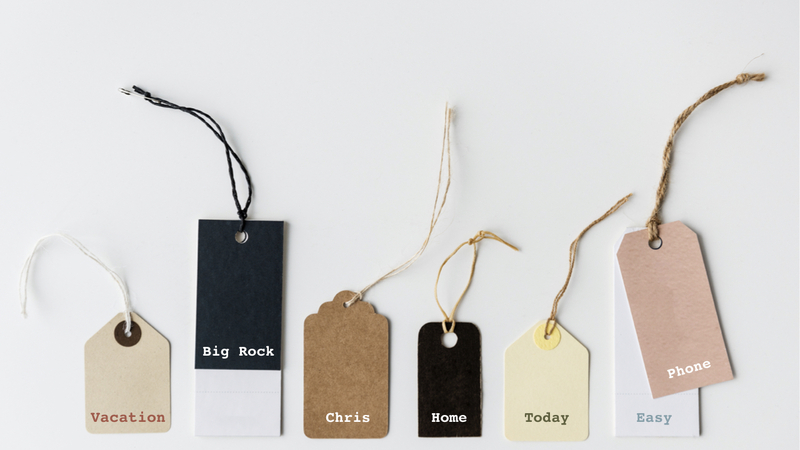 A tag can represent a Getting Things Done (GTD) context or can be an additional bit of “metadata” that makes it easy to locate related actions, action groups, and projects. For example, tagging actions with 🏡 Home makes it easy to identify all of the actions that need to be done at home. And tagging actions with 🏖 Vacation identifies actions that you’d like to complete before heading off on vacation, even if they could technically be completed after you get back. Our example tags are grouped into categories. Consider grouping more specific tags to make them more manageable. For example, the 😎 Shallow , 🤓 Moderate, and 🤔 Deep tags could be nested under the 🔎 Focus tag so that you can easily identify all of the tags that you’ve created that relate to your focus level. 📅 Date & Time – Identifies actions and projects that correspond to a time of day, a time of the year, or an event. For example, you could add a tag of 🕕 Evening to things that you’d like to focus on in the evening. + Eisenhower Matrix — A time-management technique popularized by Stephen Covey that involves evaluating activities based on their urgency and importance. 🛒 Errands — Things that you’d like to take care of when you’re out and about. For added convenience, errand tags can be associated with a physical location. 🔎 Focus — It can be very helpful to differentiate actions that are best done when you’re in a focused state from those that you can practically do in your sleep. 👩‍👩‍👧‍👧 People — Things that can only be completed if one or more people are present in some form (e.g. in person or on the phone). 📍 Physical Locations — Things that can only be done if you’re at a specific location. For example, you would need to be at home to complete the action “Water the plants”. 💡 Someday/Maybe — Used to identify things that are currently undefined. OmniFocus isn’t necessarily the best place to store these things. 🛠 Tools & Services — Indicates that a tool (e.g. iMac) or service (e.g. cellular phone service) is required to complete this item. 📝 Types of Tasks — It can be very productive to group related actions together (e.g. writing, brainstorming). Identifies actions and projects related a time of day, a time of the year, or an event. For example, you could add a tag of “evening” to things that you’d like to focus on in the evening. 📅 Today — Something that you’d like to get done today, even though it’s not technically due. ⏰ Early — Actions that you’re planning to complete first thing in the morning. This could include actions that you perform to help you prepare for your day. 🕘 Morning — Actions that you’d like to complete in the morning. 🕑 Afternoon — Actions that you want on your list for the afternoon. 🕕 Evening — Actions that you plan to take on in the evening. 🗓 September — Projects or actions that you don’t plan on working on until September. You could set this tag as “On Hold” until September arrives, and make it active on September 1. ⛱ Vacation — Added to actions and projects that you’d like to complete before heading off on vacation. Using defer dates, you can specify when you want an action, or even an entire project to become available. We recommend deferring anything that you can’t take action on until the future. For example, if you’re planning to buy tickets to the U2 concert, and they don’t go on sale until Friday, it make sense to defer the “Buy tickets to U2 concert” to Friday. If the tickets are likely to sell out, you might also want to tag this with 📅 Today or add a flag. There may also be things that you could technically do right now, but that you probably won’t get to until a future date or time. You could simply defer items to the future, though it may be more convenient to use a tag. For example, you could add a tag of 🕕 Evening to something you plan to do this evening instead of deferring it to 6pm. 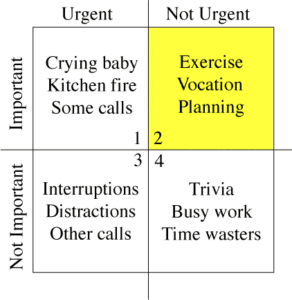 The Eisenhower Matrix is an approach to time management that was named after Dwight D. Eisenhower, who served as President of the United States from 1953 to 1961. It was popularized by the late Stephen Covey in his bestselling book, The 7 Habits of Highly Effective People. The basic premise is that items that consume time, energy, and attention are rated based on their relative urgency and importance. The four quadrants of the Eisenhower Matrix can be expressed as tags in OmniFocus. 1️⃣ Important/Urgent — Used to identify items that are important and need to be addressed immediately (e.g. Phone: hydro company about power outage”). 2️⃣ Important/Not Urgent — Added to things that are important, but that don’t need immediate attention (e.g. Discuss: plans for summer vacation”). 3️⃣ Not Important/Urgent — Indicates things that demand our attention, but that aren’t in alignment with goals and values (e.g. being interrupted by a call from a telemarketer during an important meeting). 4️⃣ Not Important/Not Urgent — For items that aren’t pressing and don’t support long-term goals or bring a sense of fulfillment (e.g. binge-watching a show on Netflix). 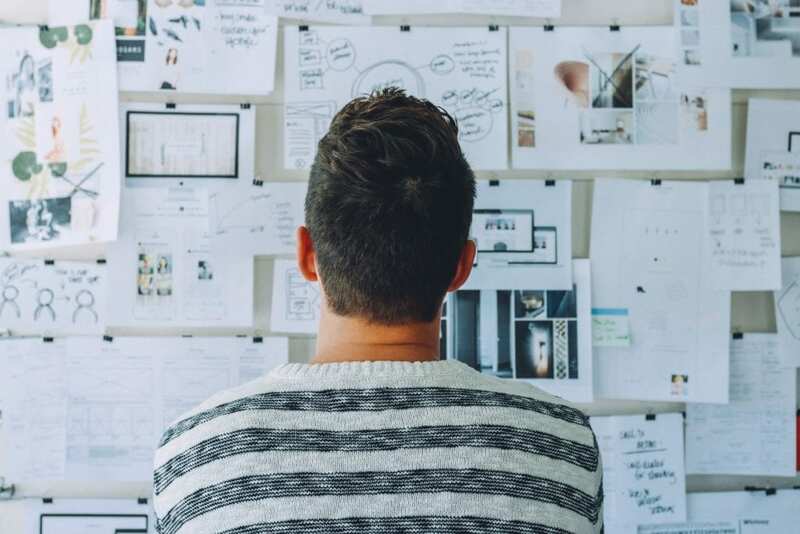 Applying these tags allows you to home in on those tasks that are most important and helps you to better understand what types of actions and projects are predominant in your system. A productive goal is to have most tasks in 2️⃣ and minimal tasks in the other three quadrants. To see how the Eisenhower Matrix can be applied using OmniFocus, check out OmniFocus Workflows with Jeffrey Taekman. 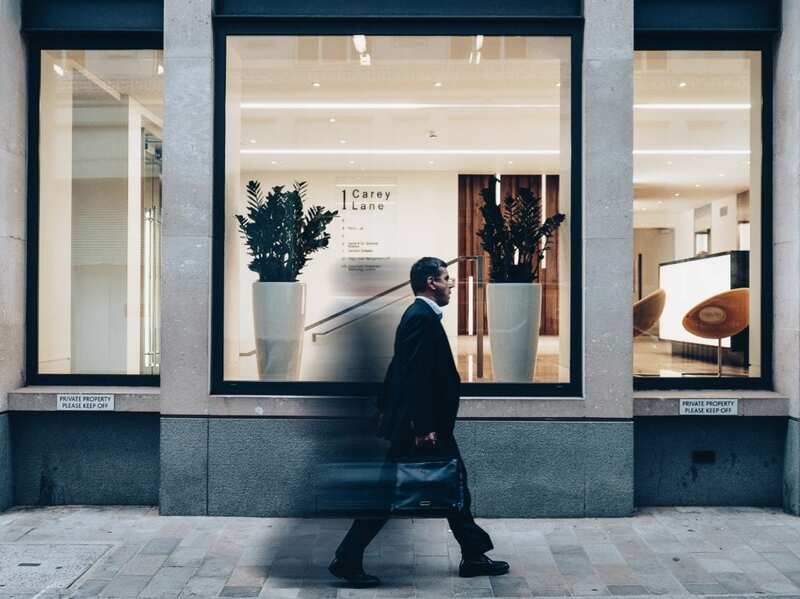 It can be very helpful to quickly pull up a list of all of your errands, both when you’re planning your day or your week and when you’re out and about. Errands are distinct from Physical Locations. If something is tagged as an errand, the assumption is that it’s a stop along your way, typically a short one. Conversely, work activities (sometimes lengthy ones) are performed at specific physical locations. 🚘 Errand — A general-purpose tag for an action that involves running an errand. 🏦 Bank — Actions to be performed the next time you’re at the bank (e.g. Deposit: cheque from Acme Corporation). Consider add a location to this context. It could refer to a specific branch (e.g. RBC Royal Bank at 685 W Hasting Street in Vancouver), or could be a search that will allow you to find banks in the area (e.g. RBC Royal Bank). 🛒 Grocery Store — Actions to be performed when you’re at the grocery store. It could be something as simple as “Buy groceries”. 🛍 Gastown — A tag can also be used to identify a town or a region of a city where you perform errands. p.s. 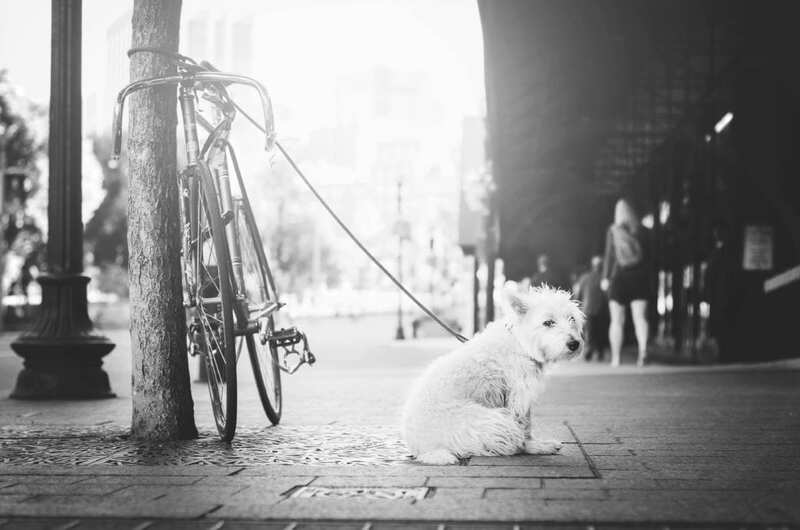 In case you’re wondering, Gastown is a popular historic neighbourhood in Downtown Vancouver. While it’s technically possible to keep your shopping lists in OmniFocus, it can add unnecessary clutter. Keeping details of what you want to purchase in a separate app, such as Reminders or AnyList, may make more sense. Reminders and AnyList both allow you to share your list with others, and AnyList will automatically group your grocery items into the appropriate sections (e.g. fresh produce, canned goods, and bakery) to make your shopping trip quicker and more convenient. It can be very helpful to use tags to differentiate actions that are best done when you’re in a focused state from those that you can practically do in your sleep. 😎 Shallow — Actions that can be accomplished when your energy level is low (e.g. late in the afternoon) or when you’re in a distracted environment (e.g. a noisy coffee shop). 🤓 Moderate — Actions that require a moderate amount of energy that could be accomplished in a somewhat-distracted environment. 🤔 Deep — Actions that are best done when you’re full of energy and in a focused environment. Some actions require that a specific person or a group of people be present. Having tags dedicated to people you have regular contact with (e.g. your boss or your significant other) can be helpful. When that person is present (e.g. in person or on the phone) you can bring up a list of all of the activities that relate to them. 👨‍🎨 John Smith — Actions that require that John is present in some form (e.g. Discuss: quarterly report). 👵 Mom — Actions that require that your Mom be present in some form (e.g. Discuss: plans for Dad’s birthday party). 👩‍👩‍👧‍👦 Family — Things to discuss when everyone in your family is present (e.g. Decide: whether to vacation in Spain or in Italy). 📊 Weekly Sales Meeting — You could have an OmniFocus tag to keep track of things to discuss at your Weekly Sales Meeting. If you have tags for other regular meetings, consider grouping them under 💬 Agenda. It probably makes sense to set these agenda tags to “On Hold”. This way they can be pulled up when needed without cluttering up your action lists. If you asked someone to do something and you’re waiting for them to let you know that the task is completed or to provide something tangible (e.g. a report), consider tagging the action with both the person’s tag and an “On Hold” 🕑 Waiting tag. If you have the Pro upgrade, create a Waiting Perspective to conveniently track everything that you’re waiting for. Some actions can only be performed when you’re at a physical location. This could be a building (e.g. your apartment) or an area of town. Here are some examples. 🏠 Home — Actions that can only be taken when you’re physically at home (e.g. Water the plants). 🚪 Arriving (Home) — There may be things that you want to be reminded of as soon as you get home (e.g. Take out the recycling). This tag could be a nested under the 🏠 Home tag and be configured to notify you when you get home. 🏘 Leaving (Home) — It can also be handy to have a tag that you assign to things that you want to be reminded about when you’re leaving home. Nest this one under 🏠 Home as well. 🌲 Outside (Home)— If you have a home with a yard or outdoor space, it can be helpful to identify actions that you perform outside (e.g. Mow the lawn). Make this a sub-tag of 🏠 Home. 🛋 Inside (Home) — Similarly, it can be helpful to identify activities that take place indoors (e.g. Replace furnace filter). If it’s a cold and rainy day you could focus on these actions, leaving the 🌲Outside ones for days with more favourable weather. 🏢 Office — Actions that can only be taken when you’re physically at the office (e.g. Change the lightbulb in your desk lamp). 🌆 New York City — Actions to take the next time you’re in the Big Apple (e.g. visit the Apple Store on Fifth Avenue). You can optionally be notified when you’re near these locations by tapping on Location in the inspector and specifying a physical location or search. 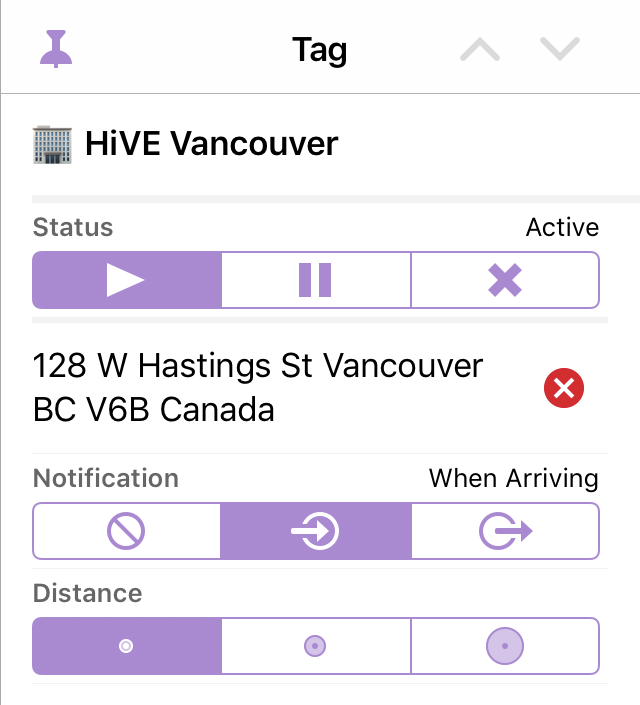 For example, here’s a tag called “HiVE Vancouver” that’s used to identify all of the actions that need to be done at this location. 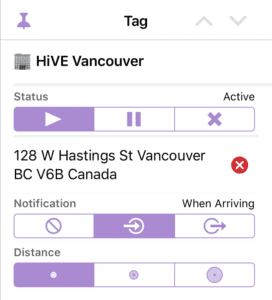 It’s associated with the HiVE’s location in Vancouver’s Gastown neighbourhood, and notifications are set to trigger when arriving within a short distance of this co-working space. In the book “Getting Things Done”, David Allen coined the term “Someday/Maybe”. He shares how “…it can be useful and inspiring to maintain an ongoing list of things you might want to do at some point but not now”. He goes on to say that “…this is a ‘parking lot’ for projects that would be impossible to move on at present but that you don’t want to forget about entirely. You’d like to be reminded of the possibilities at regular intervals”.
? Maybe — You can add this tag projects or actions that you may take on (e.g. Climb Mount Everest), but that you’re not yet committed to pursuing. Make sure that this tag is set to “On Hold” so that none of these items show up in your lists when it’s time to get stuff done. It’s important to review these lists regularly and to discard ideas that are no longer valuable. 🔮Someday — This tag can be used to identify projects and actions that you plan to do at some point. Unlike things tagged ? Maybe, there’s a commitment to take action on things that bear this tag, even though the “when” is unclear. Make sure that this tag is set to “On Hold” so items on these lists don’t clutter up your day-to-day activities. Is OmniFocus the best place for someday/maybe items? OmniFocus isn’t necessarily the best place to park all of your someday/maybe items. Instead, they can be housed in documents (e.g. OmniOutliner files) or in an online repository that’s shared by a group of people (e.g. Trello). This keeps a clear distinction between things that you’re committed to taking on and items that are less defined, and may never transpire. If you keep these lists outside of OmniFocus, consider creating recurring OmniFocus actions to prompt you to revisit these lists frequently (e.g. Add a “Review: list of ideas for blog posts” action that repeats every two weeks). For more information, check out Managing Someday/Maybe Lists with OmniFocus. Some actions can only be performed if you have a specific device or service at your disposal. For example, there may be video-editing work that can only be performed on an iMac and you would need an Internet connection to place an order on Amazon. ☑️ Asana — If you’re working with other people, you may be using a tool such as Asana to coordinate team communications and shared projects. Add this tag to any OmniFocus actions that prompt you to do something in Asana (e.g. Review dashboard for Project X). The next time you login to Asana pull up a list of all of the OmniFocus actions that bear this tag. 📶 Internet — Actions tagged with this task require that you be connected to the Internet. If most of your actions fall into this category, this tag may not be very useful. 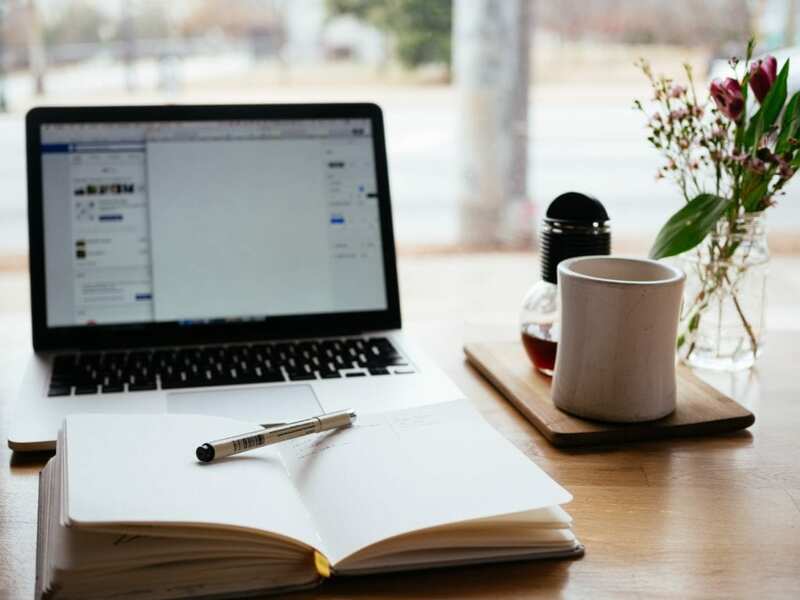 Though, if you spent a fair amount of time “off the grid” it could be helpful to quickly pull of a list of online tasks when you have an Internet connection handy. You could also use this tag for tasks that require a fast Internet connection (e.g. Upload: 4K video) from those that require less bandwidth. 📱 iPhone — Actions that can only be taken on your iPhone (e.g Install iOS 12 update). 🖥 iMac — Actions that can only be taken on your iMac (e.g. Backup to clone drive). This tag could be grouped under the Physical Location where this computer resides. For example, if your iMac is at home, you could group it under the 🏠 Home. This way iMac actions will show up when you look at everything that you can do when you’re at home. 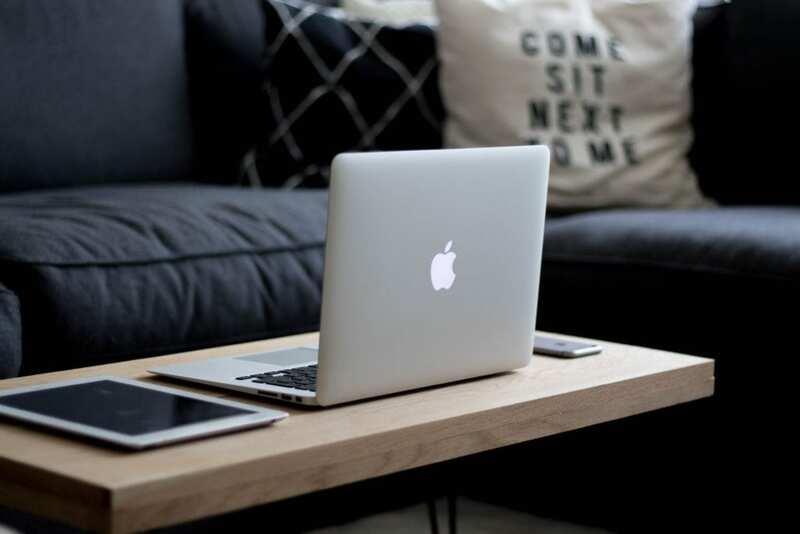 💻 MacBook Pro — Actions that you’d like to do when you’re in front of your MacBook Pro. Perhaps some of these tasks could technically be done on another device (e.g. an iPad), but are more efficient to do on your MacBook Pro. It can also be useful to identify actions that can be performed in the absence of a tool or service. 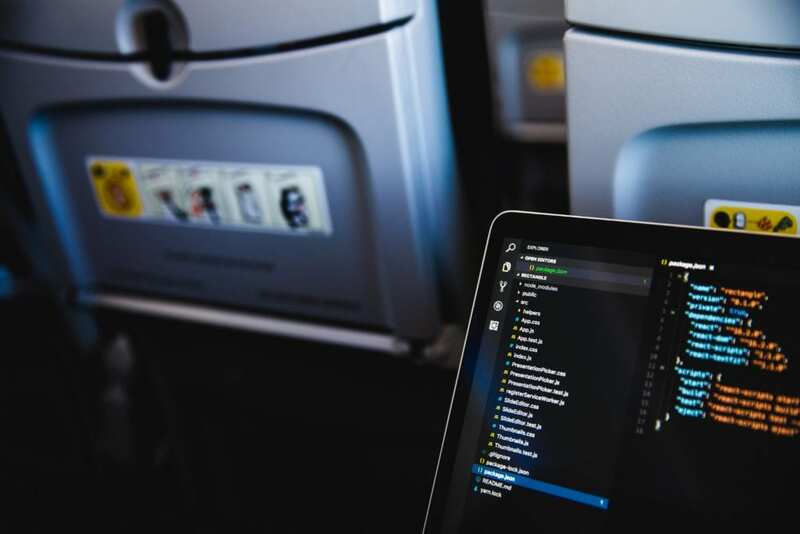 For example, an ✈ Airplane Mode tag could indicate actions that can be performed without needing an Internet connection. It’s handy to be able to quickly identify such actions when, for example, you’re soaring at 35,000 feet and don’t have an on-board Internet connection. It tends to be very efficient to do the same types of tasks in one sitting. Additionally, you may have time carved out of the day for a specific activity (e.g writing) and it’s helpful to quickly pull up a list of all related tasks. The following tags can be added to actions (or even entire projects) to give them the extra definition that is needed to home in on and batch tasks. 🙀 Avoiding — There may be some actions that you catch yourself avoiding. Maybe you’re constantly deferring them off to the future, even though you could have taken action days or even weeks ago. On the surface they may seem trivial, but constantly putting them off eats into your time an attention. Tag actions that meet this criteria and make a game of completing at least one by noon each day. 🤠 BOLD — Actions that take you outside of your comfort zone and that may result in failure, embarrassment or rejection. Consider making a point of doing at least one or two of these actions a day. It’s a tangible way of taking bold steps forward in your life and work. 🧗‍♀️ Big Rock — One of the The 5 Choices to Extraordinary Productivity that’s documented on the FranklinCovey website is Choice 3: Schedule the big rocks, don’t sort the gravel. This tag is used to identify your most important actions. Get into the habit of identifying your Big Rocks and schedule time for them on your calendar to help ensure that they get the attention they deserve. 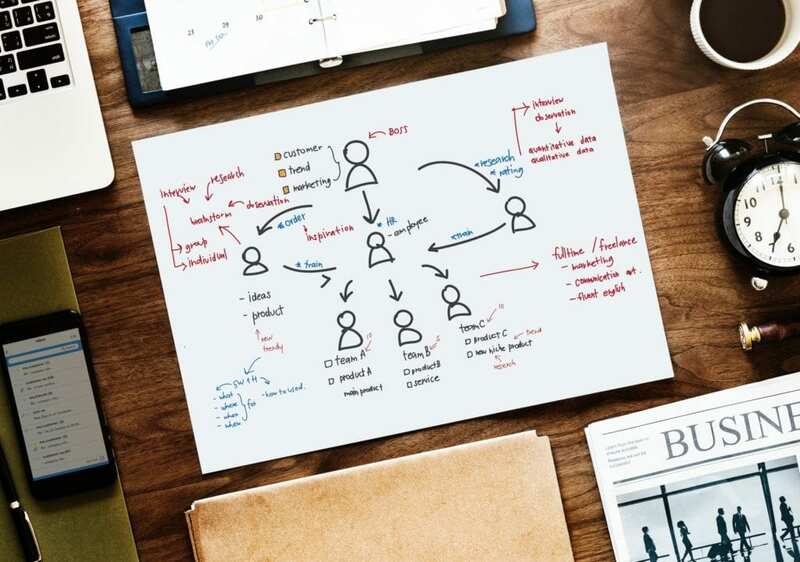 🙇‍♂️ Brainstorming — Actions that involve brainstorming, perhaps using a tool such as MindNode, or even a good-old-fashioned white board or a piece of paper. Brainstorming is inherently a creative pursuit and it can be very helpful to keep these activities separate from more structured work. 📚 Research — Add this tag to any activities you consider research. You might also want to add a focus task so that you can distinguish research that requires your full attention from research that’s less intensive. 🔁 Routine — Productive routines (e.g. “Process: office inbox”) are and an essential part of living a productive life. It can be helpful to tag actions or even entire projects (e.g. “Perform Morning Review”) with a Routine tag and to make a point of taking care of routine tasks at specific points during the day. 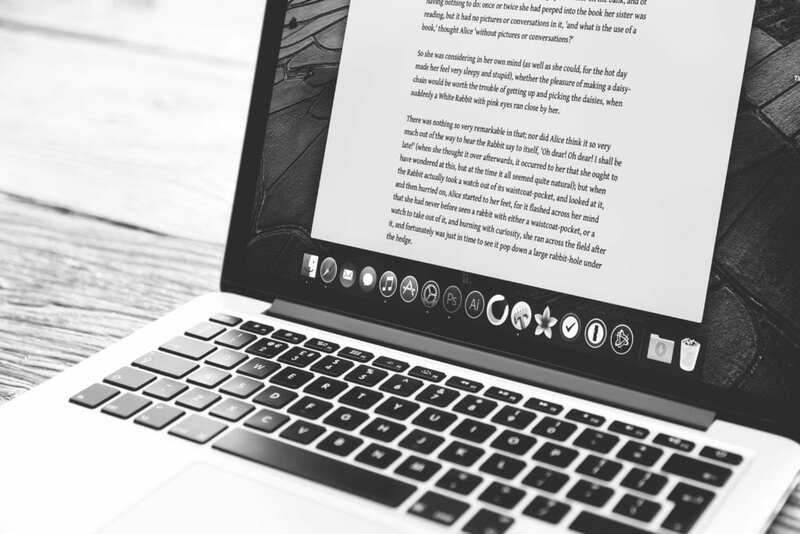 ✍ Writing — When you get into a good flow, you may find that writing projects flow very easily. Conversely, jumping between writing projects and totally unrelated work involves a “context switch” that can significantly hamper your progress. This tag can be helpful for easily identifying writing tasks. It can also be helpful to add a prefix followed by a “:” (colon) to actions to indicate the type of task. For example, “Write: first draft of workshop summary” is prefixed with “Write:” and you could identify all writing actions by searching for this prefix. The colon is included so that tasks like “Remind John to write the letter” don’t show up in this list.